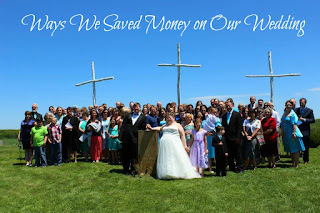 Weddings can be expensive, and we went over budget -- ours cost under $3,000 and we had 150 people in attendance and flew our entertainment in from Florida -- a master illusionist who did a magic show instead of having a traditional dance. 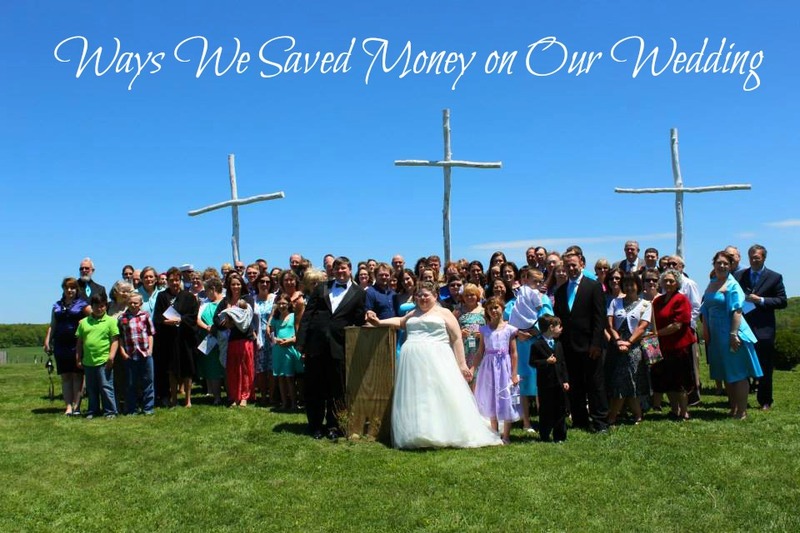 Overall, I expect our wedding would have cost about $20,000 if I hadn't done everything I could to save money. Here are a few of the things I did. Win everything you can. There are so many sweepstakes and contests open to just engaged couples. I won our save the date cards, lollipops with our photos on them as favors, invitations, a Walmart gift card we used for food, and plenty more various things. Sometimes you get entries by starting a registry somewhere (doesn't mean you have to use it! ), or at bridal fairs or other places. Enter everything you can because people do win! We weren't picky about our invitations. I won three different sets of invitations. We figured we didn't need to have all of them match because no one would compare. For my husband's side of the family, they all received the invitations we put a quote about marriage from his beloved grandfather. For my side, they received invitations with a photo of the church on it. Everyone loved their invitations. A few of my friends were willing to "work" the reception instead of a gift. Someone left the wedding immediately and while we were taking photos, they went to Walmart and picked up fried chicken we had ordered. 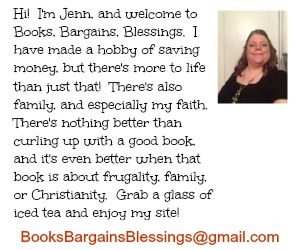 It sounds cheap, but we had compliments on how good it was and people wanted to know where we had bought it! We had no wedding decorations. This is something that most people wouldn't want to do, but I am allergic to flowers. Instead of carrying a bouquet, I carried the Bible my mother carried at her wedding. We were especially able to get away with no wedding decorations because the church we got married in was so beautiful that my husband and I had commented that even if I wasn't allergic to flowers, we wouldn't have chosen to have them anyway because it would have taken away from the beauty of the log cabin church. We didn't have alcohol. This was a no-brainer to me, as I grew up in a church that frowned on drinking and I knew it would make some of my friends extremely uncomfortable. My church also frowned on dancing so I knew that there would be few who would want to dance at our reception, thus our most expensive part of the day -- entertainment. We flew in someone from Florida who is a master illusionist to do a magic show at our wedding. He got the crowd involved and everyone had a great time, and I heard more about how much people enjoyed him than anything else that happened at the wedding or reception. In retrospect, this was WELL worth the investment even though we could have done the wedding for much less if we would have not had entertainment or just hired a DJ. Most weddings in my area don't include any entertainment, so this was something out of the norm for where I live, but more expected by my husband's side of the family. We rented an ambulance hall. Not that there are many places in my area to rent for a wedding reception, but we chose an ambulance building. It was $100 a day (we had it for two days) and a $50 deposit which we had returned when it was cleaned up. This was the largest place we could find in my town. Unfortunately, there was a lack of chairs and we unexpectedly had to try and get some extra chairs, including buying a number of them. The chairs were one of our biggest expenses of the wedding! I asked a couple VERY talented DSLR camera does not mean they are talented, it just means they have a good quality camera. We also enlisted friends for music. A Bible study friend from college plays the bagpipes, and we asked someone we knew from church to sing. Instead of finding someone to play the piano, our vocalist played the guitar and I entered to the song How Beautiful. The things we did splurge on was cake toppers I had handmade from Etsy. I had them made to look like my guinea pigs as the bride and groom. The other splurge was a Unity Cross. Instead of a candle, we decided to go with something that would decorate our home once we were married. I have always preferred something permanent over something temporary, and I think they are beautiful. For clothing we ordered bridesmaid dresses off of Amazon. The ones we chose were only $35 each. We just asked groomsmen to wear a black suit, and we provided ties in our wedding color. We had visited a bridal shop that was going out of business and bought my husband's clothes as well as my dress, but later I decided I wanted something a little more poufy, so I've had the first dress on Facebook garage sale boards, hopefully I can sell it. Not all of these are things that everyone would want to do, but they worked for us, and two years later, I think back to what a fantastic day it was and pretty much perfect in every way -- except that I landed in the ER that night because of what I thought was appendicitis, but that's another story.